The one-job wage earner, for so many generations a bulwark of industrialized society, has all but passed away. We perceive this as contemporary reality, yet it has not been easy to cite the facts and figures necessary to build a stable foundation for the social security of tomorrow's population. Now the European Institute of Social Security, a leading multidisciplinary research group dedicated to exploring the frontiers of social security, has taken the crucial first steps with an in-depth examination of the new and atypical work relations that are emerging. 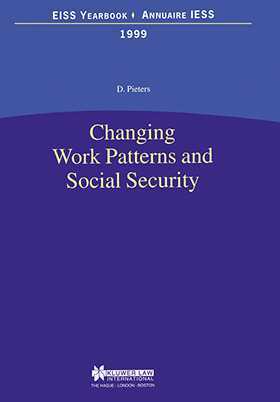 The research and conclusions in this book will greatly help policymakers to identify the areas in which existing social security systems can meaningfully accommodate the new realities of work. the shortcomings of existing social security systems vis-a-vis self-employment and part-time work.